One of my dreams for this blog would be to be able to expand beyond Barcelona and post images of the best street art from all over the world. My timetable and salary are the main obstacles standing in the way of this dream, although there are some entries devoted to New York, Menorca, and Amsterdam. On my annual trip back to the East coast of the US, I was greeted by unseasonably warm temperatures and though the skies were threateningly dark, we were only battered by rain and wind for a few hours. A big difference from the Nor’easter which kept me inside last December. The grey skies were actually a blessing, as I don’t have to worry about overlit shots and shadows. 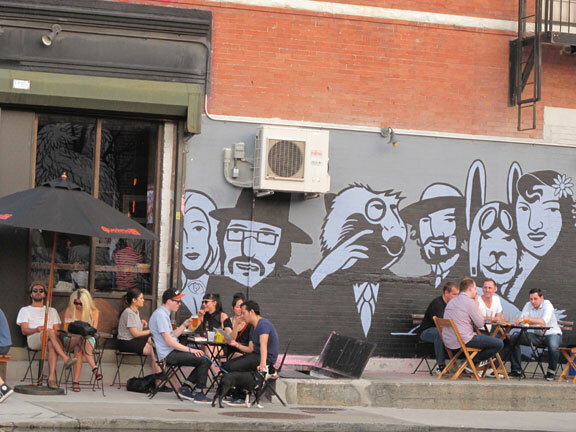 Most of these images come from the East Village and Lower East Side, though there are a few from the Highline.